My mom has been making these potato pancakes for as long as I can remember. 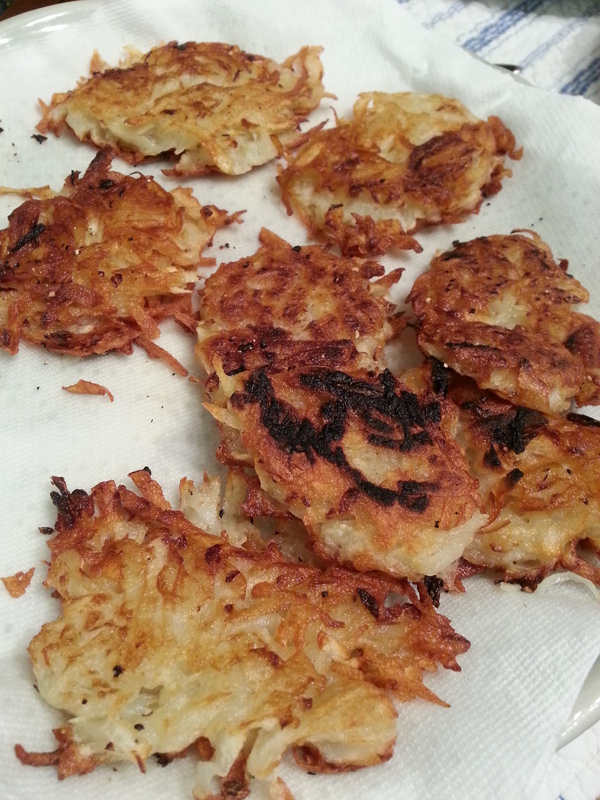 And before this recipe, she probably made another version of potato pancakes. 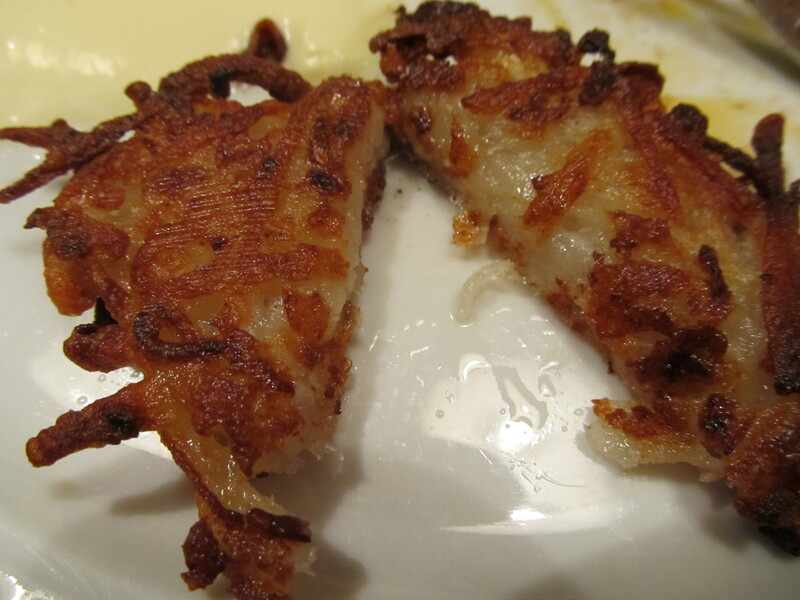 Eating potato pancakes (aka potato latkes) is part of our eastern european heritage (we’re Lithuanian). 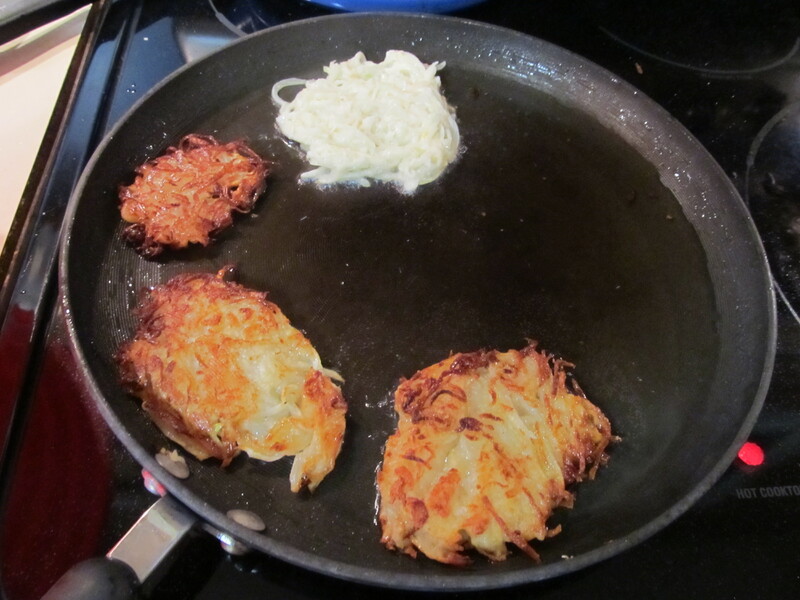 Most of the time, I am disappointed with potato latkes when I order them out. So I typically don’t eat them anywhere other than my family’s house. They are usually made with too much “filling” so that its consistency is more cake than potato. They are too thick and greasy and sit like a bomb in your stomach. I don’t know what they add to it to weigh them down, but it’s just not cool. I find myself asking “where’s the potato”? This recipe is INSANE though – not only insanely simple, but insanely delicious. 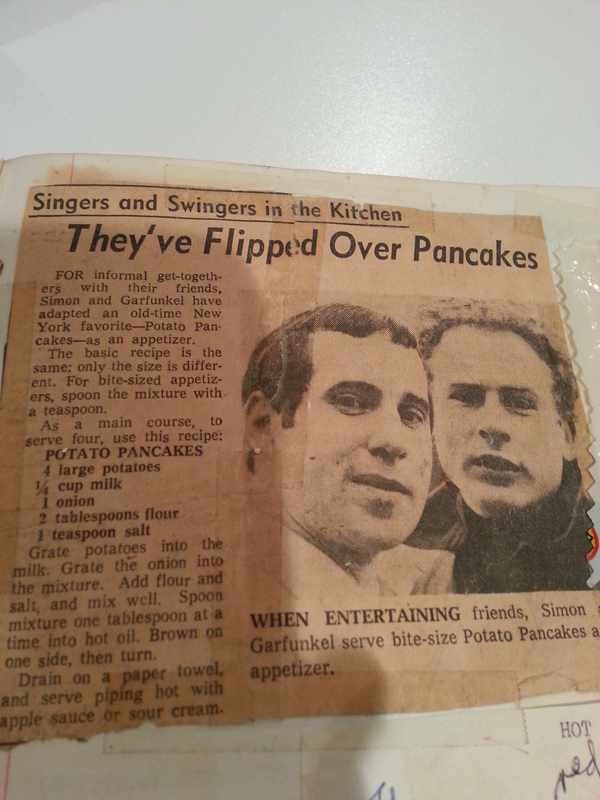 It was posted in the New York Times EONS ago and it comes from Simon and Garfunkel. Here is a pic of it! 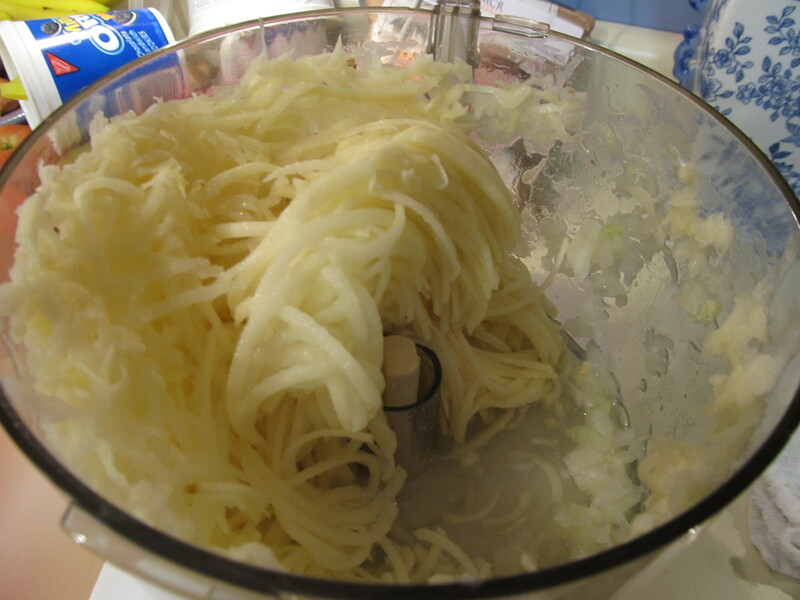 When you use a food processor to grate your onions and potatoes, it goes SO much easier and quicker! Also, if you find the mixture to be too wet, drain some of the liquid out of the bowl. You want to make sure you use a non-stick frying pan as well – something that will encourage the pancakes to lift up easily. I have made the mistake of using a bad pan and it was a disaster! Our family serves these with sour cream. Some people like to eat them with applesauce or ketchup. Whatever you prefer, go for it! 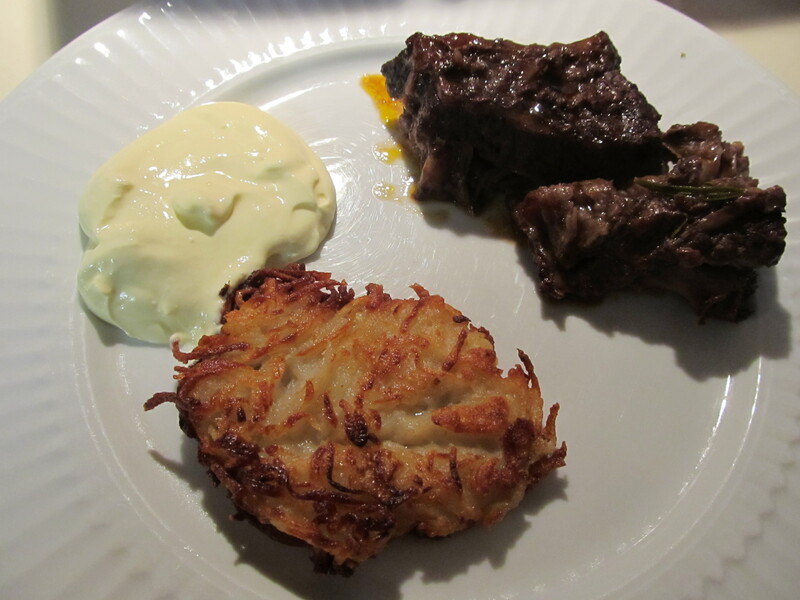 The next time you have Jewish friends over, make this for them – they will beg you for the recipe! 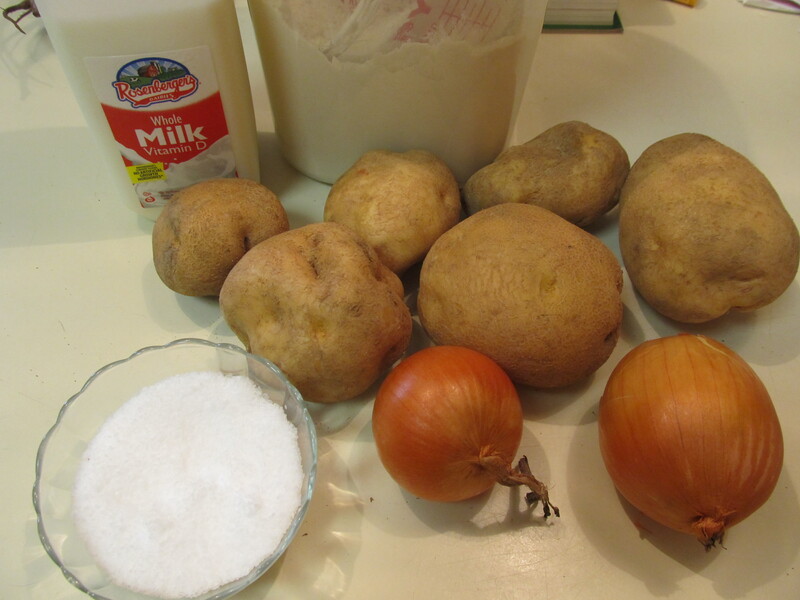 Grate potatoes into the milk. Grate the onion into the mixture. 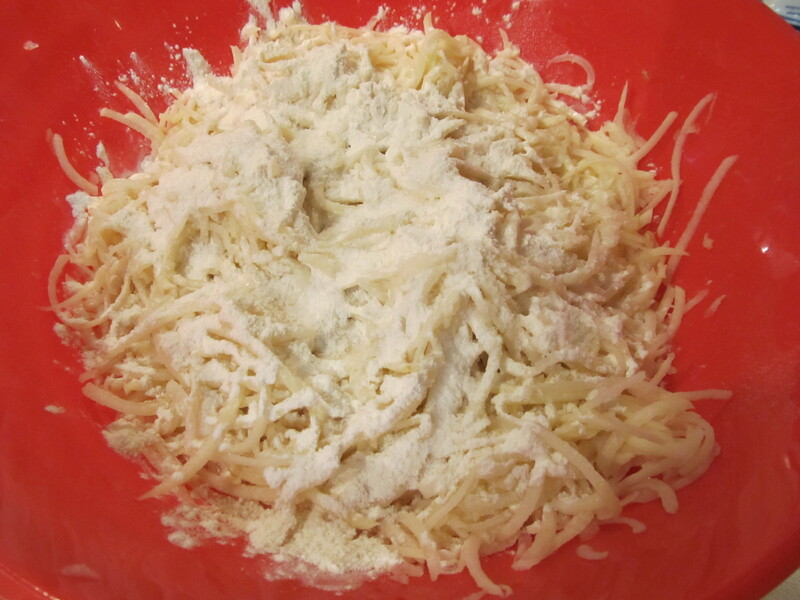 Add flour and salt, mix well. Spoon mixture one tablespoon at a time into hot oil in a frying pan. You can make the pancakes as little or as large as you like. Make sure that the pancake is flat and not too lumpy or thick. Brown on one side, then turn and brown on the other. Drain on a paper towel. Serve hot with a side of applesauce or sour cream.